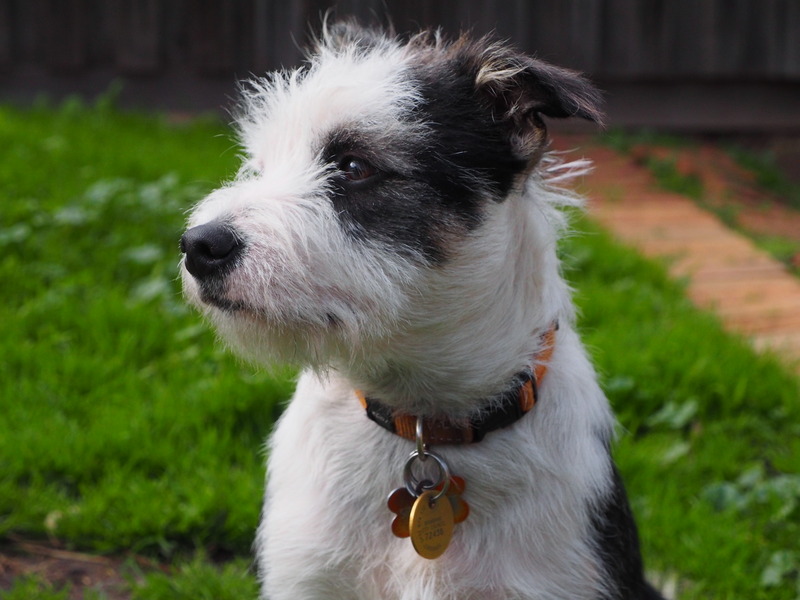 Meet Sprocket – the newest member of our family. He’s an 10 month old Terrier cross (We’re not sure what’s in the mix!) adopted puppy from Melbourne’s The Lost Dogs’ Home. Follow along as I share his and my story as a new dog owner learning how to raise a healthy and happy little dog. I’ll also be doing regular updates on JOY 94.9′s Pets-A-Loud about my experiences and what I learn along the way. Our lesson for this Sprocket update? Never leave the cupboard door open. Our terrier cross Sprocket (the sneaky little bugger) has broken not once, but TWICE into his food and filled his belly up to the point he can barely move. As the months go on we can see more parts of Sprocket’s personality and his sneaky side is definitely a feature. We’ll be keeping a closer eye on the cupboard door in future! Sneaky is just one trait though – he’s a very affectionate pup (sometimes overly!) and loves to lick, lick, lick, lick, lick – particularly first thing in the morning to wake you up. When he’s tired he can be a bit of a grump, but loves nothing more than at the end of the day to jump up into your lap, curl up and have a bit of a snuggle and a snooze. For the first time we’ve taken Sprocket to try dog dancing (Check out Kevin and Cynder’s work here) to see whether it’s something he enjoys. We’ve started teaching Sprocket some fun tricks such as spins and twirls, but what he really loves is standing up on his hind legs. Ever since we taught it to him – it’s all he wants to do! At dog dancing we learned about refining our techniques, back leg awareness and some of the basic building blocks that put together a routine. Dog dancing was fun, but because he’s still just a puppy he only got a little while in before getting a bit tired and distracted – though I reckon he loved all the attention…and treats! My challenge ahead is keeping up a regular training schedule with Sprocket and making sure we fit the time in each day for at least five minutes. He’s progressing well with his training, but it’ll all be made much easier if we’re consistent. It’s been a few weeks since a proper obedience class, but we have been practising so I look forward to seeing how he goes in our next class.